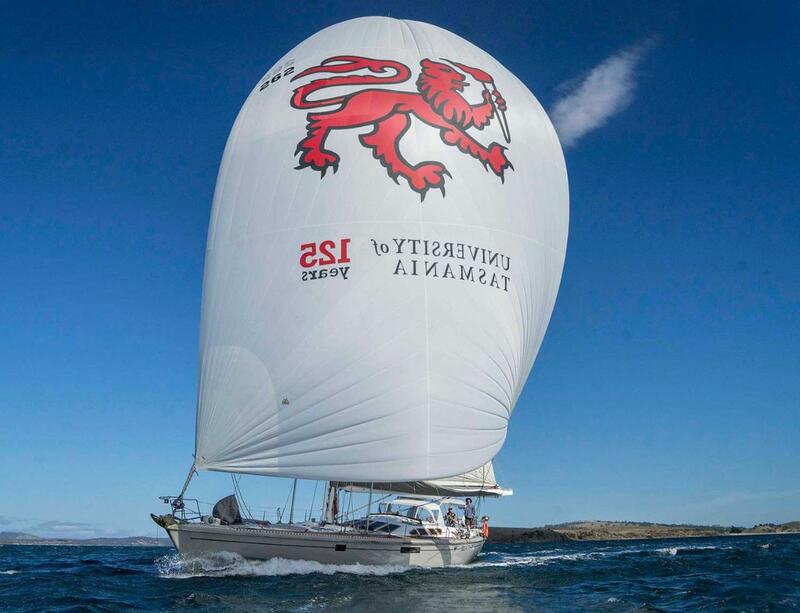 Set sail in the morning from the docks in Hobart on one of the biggest ocean racing yachts in Tasmania. Learn how to sail, even take a turn on the wheel if you like, or simply relax and enjoy the magnificent views of Hobart and the countryside as we head towards Bruny Island, never leaving sheltered waters. Both our 62 foot yachts are veterans of the the Sydney to Hobart Yacht race - one of the most famous ocean races in the world - and we set sail every trip; including our huge spinnaker when the wind allows. You will be thrilled by the excitement of racing through the sea without the sound of an engine, propelled only by mother nature. We will anchor in a sheltered bay for lunch where you can swim off the yacht, go for a walk on the sandy beach, relax on deck with a drink of Tasmanias famous wine, beer or cider, or try your luck at fishing. If you are lucky enough to catch something big enough we will cook it up for you on the spot! You can eat lunch below decks in the comfort of our large saloon, or on deck where you can take advantage of the beautiful scenery and fresh air. You will be presented with some of the freshest and most delicious seafood you are ever likely to eat, as well as salads and fresh fruit, and Tasmanian wine, beer, cider and soft drink. You will get to hold live Tasmanian lobster and abalone before it is prepared for you by our expert crew. As we travel to and from our anchorage we will explain to you the fantastic scenery, local history and the wildlife that you may see along the way, including seals, penguins, dolphins and sometimes even whales and orca! We return to the Hobart docks at 5pm. NOTE: If you would like to customise this trip please go back and press the Enquire button.